Ever get tired of doing the same old thing for Girls Night Out? Movies, wine. Dinner, wine. Shopping, wine. Ok, let’s not nix the wine, but how about doing something to tap into your creative side? 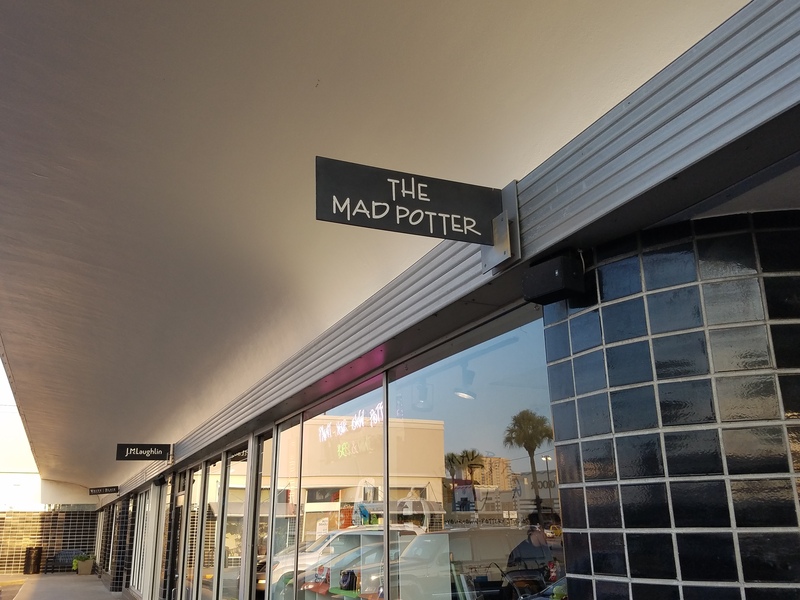 We suggest trying out The Mad Potter – like the name suggests, this involves … you guessed it: pottery! 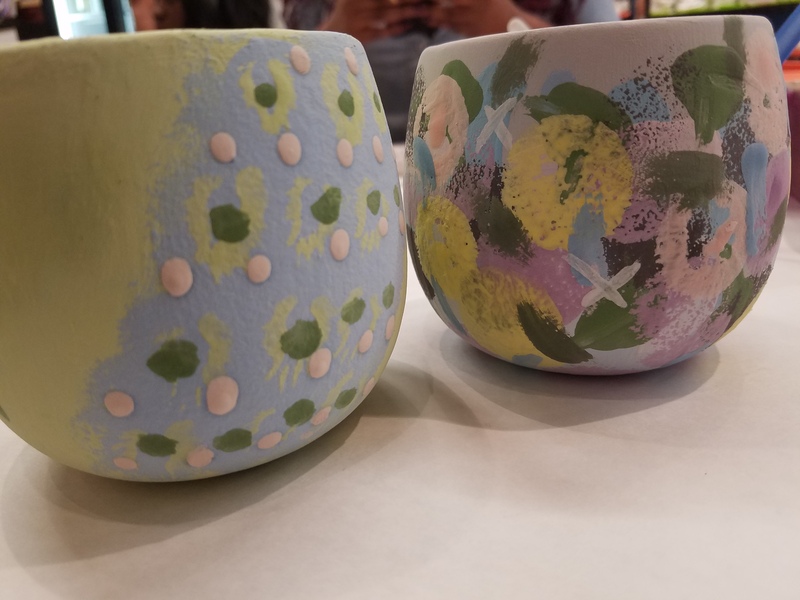 This is the before of our masterpieces … we painted tumblers for our wine! 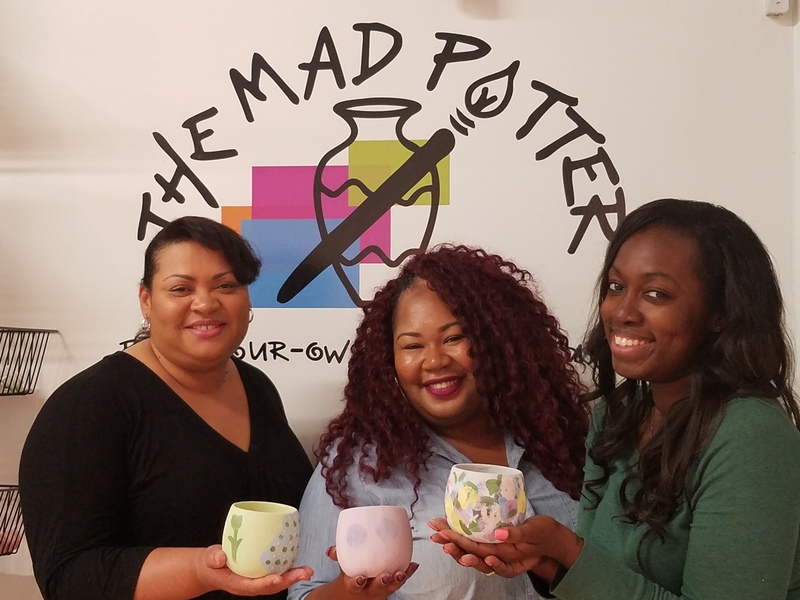 The Mad Potter offers a Girls Night Out special on Thursdays, which includes painting and wine for $15. Not bad and it’s really a great time. 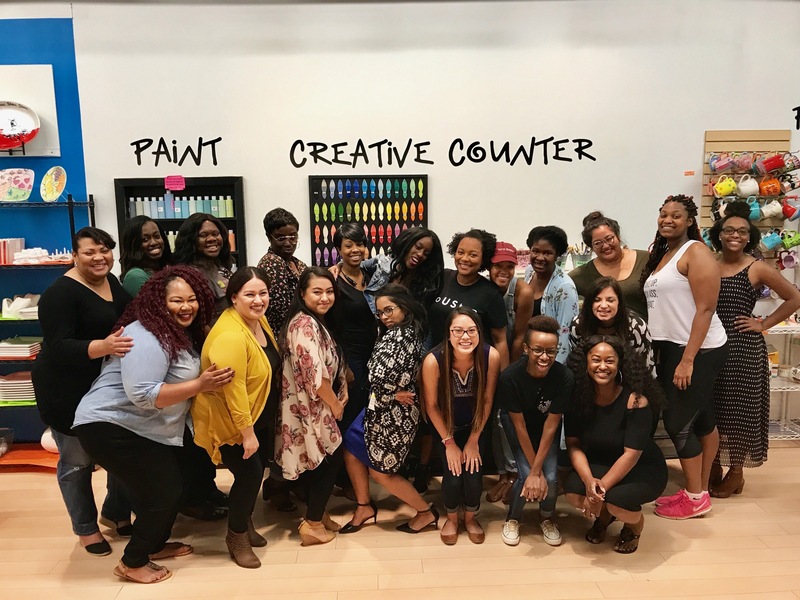 There are three Houston locations and we, along with some of our Houston Food Blogger Collective fam, visited the location in River Oaks last week for a night of fun, creativity and … wine! And what girls’ night is complete without food? 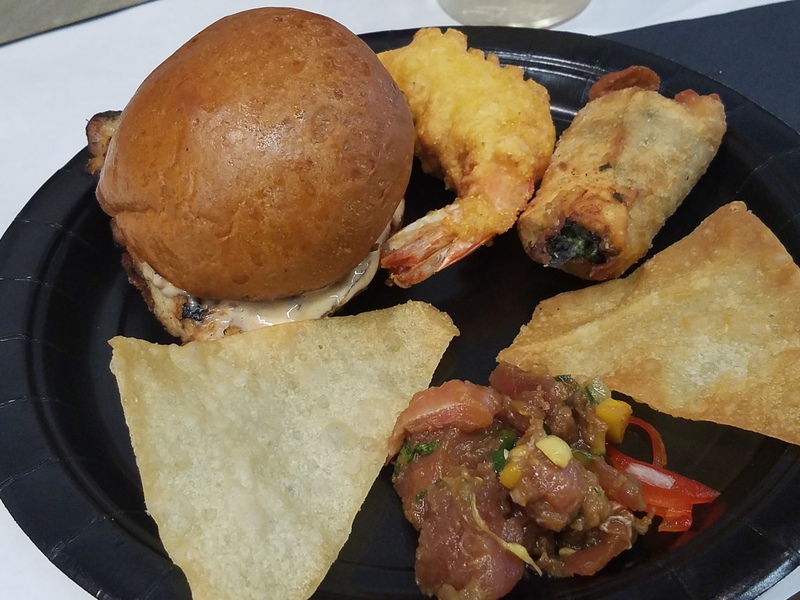 These snacks were really good and went will with our wine! 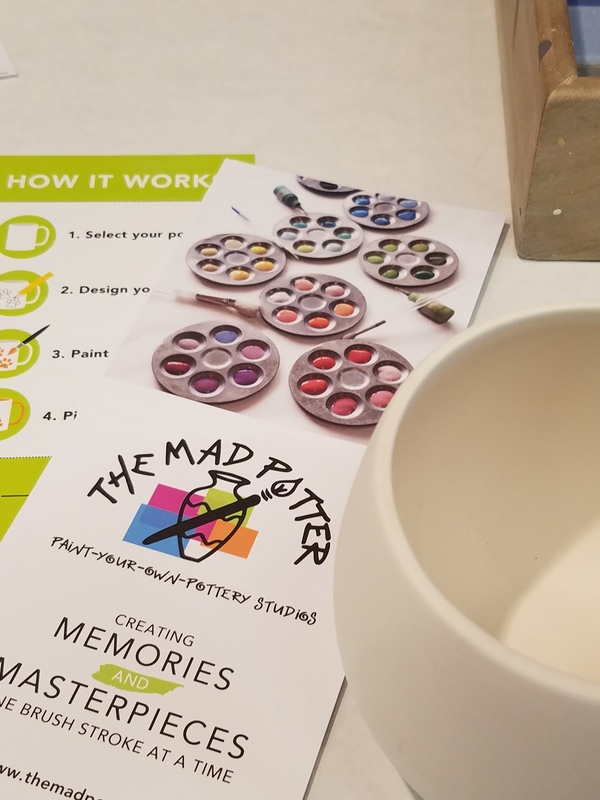 The Mad Potter founder and owner Meredith McCord was on-hand with her awesome staff to answer any questions we had, offer their tips/advice on how to get creative with the art and fill up our tray with whatever paint color our hearts desired. Not to mention they kept our glasses full, so it’s definitely a yes for 2 Girls Who Travel. What sets The Mad Potter apart from other painting activities is there’s no guidelines, steps or template to follow. You literally create what your heart desires. You may see you need to paint over/wipe off one area and start over … or you may throw caution to the wind and just paint something, and see where it goes. Finished! Kim’s to the left and Val’s to the right. 2 Girls Who Travel with owner Meredith McCord showing off our abstract masterpieces! 2 Girls Who Travel with fellow blogger Angelle! *Note: After you paint your pottery, you have to leave it at the shop for about three days so it can dry in the kiln. Then you’re free to pick it up anytime after that. 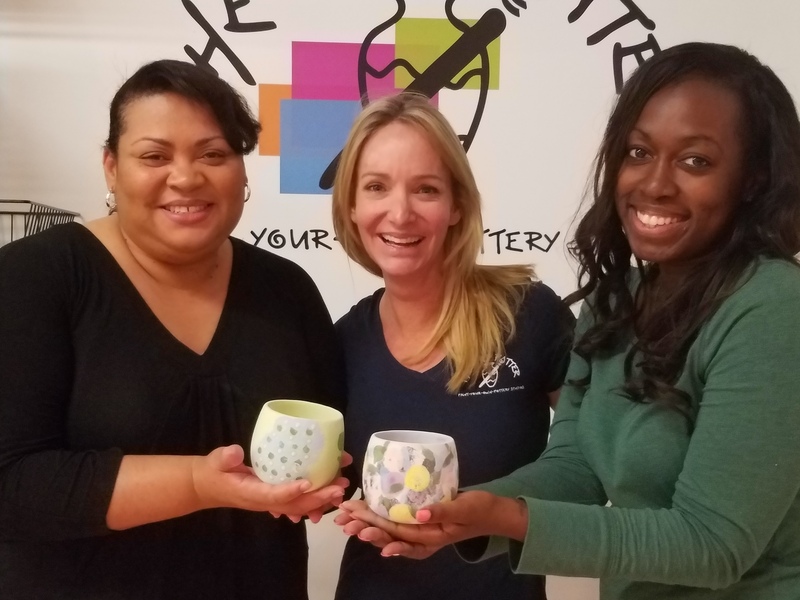 For more information on The Mad Potter, visit their website.